Shibuya 109 | Japaneze Jusu!!! ようこそ!!! Hey all! Soooo sorry for not uploading a video! I had problems with my laptop since like the beginning of the year however all is OK and I can now finally continue making videos! Check out the new video! Kyary Pamyu Pamyu きゃりーぱみゅぱみゅ Performs on “Music Lovers”!!! Who wants to see cute things that I bought in Japan??? In relation to the necklace, this is a necklace which looks like a bear! haha! 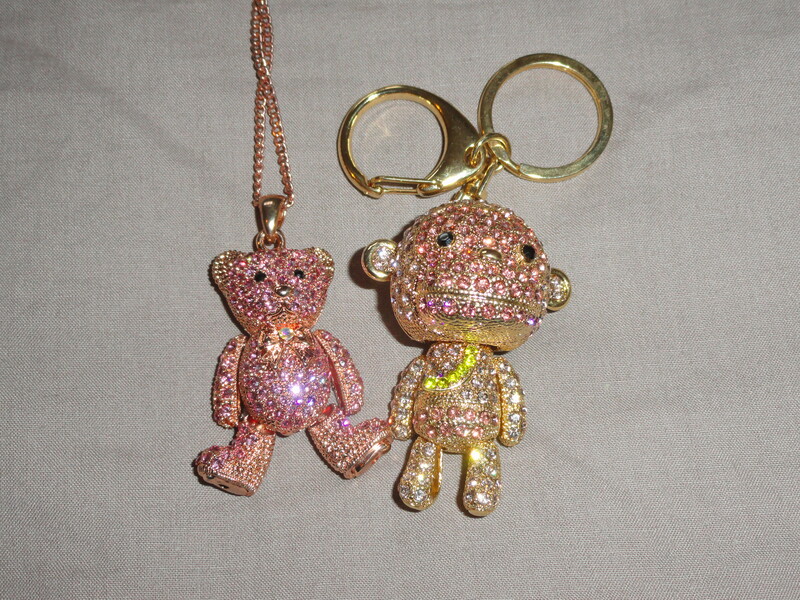 The thing which is next to the necklace is a key ring which looks like a monkey! haha! I bought the necklace at a shopping centre called “Shibuya 109” and I bought the keyring in Shimokitazawa! Later I will write a report about Shibuya and Shimokitazawa! Therefore, please look forward to reading the articles!